Thanks to a 2003 state law, owners of rent-stabilized apartments can arbitrarily boost rents to a legal maximum that they set themselves. The tactic fosters gentrification, eviction and homelessness. To protect middle-class families like the Donaldsons from the city’s soaring housing costs, New York City has for decades capped annual rent increases and offered safeguards against spurious evictions. Under a 1974 state law known as “rent stabilization,” which applies to New York City and a handful of other municipalities, the Donaldsons should have received a 1 percent increase when they renewed the lease on their apartment in Brooklyn’s Prospect Park South. And for the past two years, anyone renewing a one-year lease for a rent-stabilized apartment was entitled to a rent freeze. But for renters in almost 30 percent of the city’s 860,000 rent-stabilized apartments, the law’s protections against steep rent hikes have vanished thanks to a late-night loophole created by state lawmakers in 2003. The loophole involves a seeming benefit to tenants known as a “preferential rent” — a rent below the legal maximum allowed under rent stabilization. Landlords say such discounts are good for tenants because “they’re getting a deal. They’re getting a bargain. They’re paying less money than legally they have to,” said Frank Ricci, head of government affairs for the Rent Stabilization Association, which represents property owners. “I definitely feel like I have one of the best deals of anybody I know,” said Biggan, a massage therapist. Dimitrios Paliouras, a Greek immigrant who has owned the building since 1983 and relies on it as his primary source of income, said he doesn’t mind charging less — as long as tenants pay what they owe. “I could get another two, three, four-hundred dollars in some apartments but I say ‘it’s OK.’ Everybody has to make a living,” Paliouras said. But there’s a catch. Increases in preferential rents aren’t subject to city-set limits governing other rent-stabilized apartments. Landlords can revoke the preferential rates, and hike rents to the legal maximum, whenever leases come up for renewal. That can mean spikes of hundreds or even thousands of dollars. The Donaldsons’ landlord, for example, charged them a preferential rent of $1,494 until he revoked the discount and boosted the rent to the legal maximum of $2,065. “It sort of defeats the whole purpose of rent stabilization, which is to give the tenants some security,” said Ed Josephson, director of litigation for Legal Services NYC, which represents low-income renters in housing court. Since ProPublica launched its “Rent Racket” reporting project in November 2015, tenants have been sharing leases, rent histories and stories of their experiences via an online reader survey. Preferential rents have emerged as their most common complaint. Some tenants provided records showing legal maximums that exceed $10,000, or rents that suddenly doubled to more than $7,000 when the preferential rate was revoked. The Donaldsons acknowledged occasionally being late with their rent but said they always paid what they owed. The sudden hike to the legal maximum amounted to “a bully tactic,” Scherrie Donaldson said. Landlords are supposed to set the maximum legal rents in accordance with the stabilization rules, which include allowances for renovations, annual rent hikes and other factors. 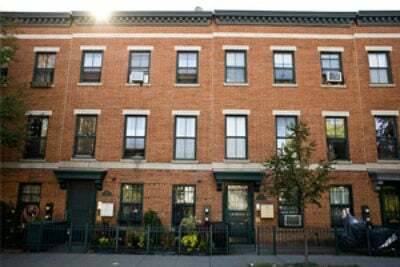 They submit the maximum legal and preferential rents each year to New York State’s Division of Housing and Community Renewal. Most of these maximums may be unjustified, according to a court filing by state lawyers for the division’s Tenant Protection Unit. A 2014 lawsuit by the Rent Stabilization Association, the landlord group, sought to disband the unit, which can audit landlord records and seek penalties. The association argued that Gov. Andrew Cuomo lacked the authority to establish the unit, and challenged several amendments that strengthened state rent laws. Still, ProPublica found that landlords sometimes boost legal maximums beyond the market rates in their neighborhoods. 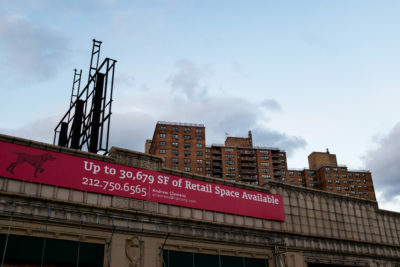 The monthly legal rent at one East Williamsburg apartment has swelled to about $12,000 due to the owner’s repeated use of the “vacancy allowance,” which permits a rent hike of as much as 20 percent whenever a tenant moves — even if a roommate remains on the lease. Because few East Williamsburg residents can pay that much, the owner last leased it at a preferential rent of $3,850. Data show that the threat of large rent spikes is becoming more prevalent. The median gap between monthly preferential and legal maximum rents increased 55 percent citywide, from $286 in 2008 to $444 in 2015, according to a data analysis conducted for ProPublica by the city’s Independent Budget Office. In Manhattan, the difference tops $800. A sudden rent hike of $444 would be tantamount to an eviction notice for many renters: The median income for rent-stabilized tenants is about $3,400 a month and rent already eats up 35 percent of that, according to the city’s latest housing survey. “For tenants in intensely gentrifying neighborhoods like Crown Heights, the effects are immediate,” said Kerri White, director of organizing for the Urban Homesteading Assistance Board, a tenants’ rights group. The sprawling, H-shaped complex on the western edge of Brooklyn’s Crown Heights was built just a few years after the Dodgers played their last baseball game on the same site in 1957. Known as Ebbets Field, it was where Jackie Robinson broke baseball’s color barrier, and where the renowned “boys of summer” won six National League pennants from 1947 through 1956. Today, the ballpark’s namesake 1,300-unit complex is a city unto itself, providing rent-stabilized housing to hundreds of lower-income African-American and immigrant families. But the fabric of that community is changing fast thanks to preferential rents. Records show Fieldbridge Associates, owner of Ebbets Field, filed more than 1,800 eviction cases against tenants from 2014 through 2016. According to Beverly Newsome, president of the tenants’ association there, new tenants must sign a lease with a rider stipulating that the rent is preferential and the landlord can revoke it. Riders reviewed by ProPublica warn that “should legal action to collect rent be deemed necessary,” the rent will spike to the legal maximum. There’s more at stake than just rent hikes. When building services deteriorate or repairs aren’t made, rent-stabilized tenants are entitled to file complaints with the state’s Division of Housing and Community Renewal seeking rent reductions or refunds. They also have the right to call 311, the city’s hotline for reporting building code complaints, without fear of retaliation from owners. But tenants with preferential rates are often afraid to take that chance. At a February tenants’ association meeting, Newsome told about 40 residents gathered in a bright green community room about a tenant who signed on to a rent reduction complaint for various issues in his building, only to be told by management to remove his name or see his preferential rent soar $400. “Oh wow,” shouted one tenant. “Whoa,” yelled another. “She was engaged,” Newsome told ProPublica. “If she had issues in her apartment and they didn’t fix them, she called 311.” Taylor also encouraged neighbors to do the same, Newsome recalled. “I have this month’s rent but I do not want to pay until repairs are completed,” she wrote in a January 2013 affidavit. “She has rarely paid her rent in anything remotely approaching a timely fashion,” a lawyer for Fieldbridge countered. When Taylor’s lease came up for renewal in 2013, Fieldbridge raised her preferential rent — by then, $1,625 per month — to the legal maximum of $2,314. Taylor responded by filing a rent overcharge complaint with the state, records show. A letter to the state from one of Fieldbridge’s attorneys acknowledges that Taylor fulfilled these terms. But, for reasons unclear from the available records, the deal fell apart. By June, Fieldbridge moved to evict her for her failure to sign the lease with the maximum rent. As is common in such situations, the company declined to accept rent payments while the case was pending. The proceeding dragged on for more than two years. During that time, Taylor said, the leaks in her apartment continued but Fieldbridge “came to fix stuff less and less.” Mold spread throughout the apartment, her health declined and the city appointed a guardian to help her cope with the stress of the eviction proceeding. In the spring of 2015, the pipe above Taylor’s bathtub leaked again, creating a giant plaster bubble that ultimately burst. In June 2015, another flood destroyed most of her belongings. By then, Taylor and her guardian were looking to relocate her. But Taylor’s deteriorated health and finances made it difficult to find a suitable home. If evicted, “Ms. Taylor will be rendered homeless and will have no housing option that does not present a threat to her health and safety,” her guardian, the Jewish Association Serving the Aging, warned in an August 2015 affidavit. The association declined to comment on her case. 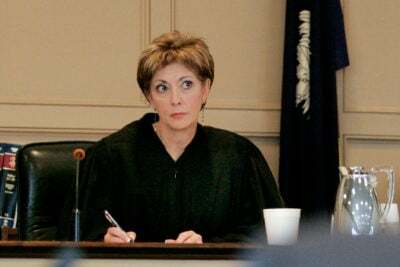 Fieldbridge countered that the eviction proceeding had gone on long enough and that Taylor now owed $58,445 in arrears billed at the legal maximum. 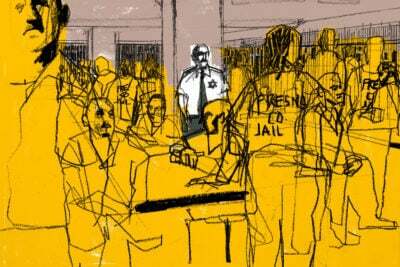 Fieldbridge had “carried the burden for Ms. Taylor long enough,” the firm’s lawyer argued. The judge agreed and on Aug. 31, 2015, a city marshal and police officers evicted Taylor. “I was evicted out of the house in a night gown and slippers,” without her oxygen tank or medications, Taylor recalled. “I didn’t even have a fork, pot or bed to move with. … I lost everything.” The building manager did allow her daughter to retrieve some possessions for a few hours the next day. She was homeless for 18 months, often sleeping in the basement of her godmother’s house near John F. Kennedy International Airport. She recently found a temporary sublet, but a permanent home continues to elude her. Meanwhile, her old unit has been renovated and rerented at a higher preferential rent. Landlords had little incentive to discount rents, since they couldn’t recoup the subsidy until the apartment switched hands. As a result, less than 100 apartments had preferential rents in 2000, state data show. Just before midnight on June 19, 2003, a bill renewing state rent laws suddenly landed on the New York Senate floor. A message from then-Gov. George Pataki, a Republican, asked lawmakers to pass it immediately before ending the legislative session — even though the Assembly hadn’t even seen it. Before copies of the bill could be printed, debate began on the floor. The measure’s proponent, Republican state Sen. John Bonacic, said “it does not affect the life of any tenant or landlord” because the bill would make only “technical clarifications” to state rent laws. Asked about this prediction at a recent press conference, now-Attorney General Schneiderman said, “I remember that debate,” but declined comment on the issue. With real-estate-friendly Republicans in control of the Senate, the bill passed by a 35-26 vote, largely along party lines. The Senate then ended its session for the year, leaving the tenant-friendly Democrats who controlled the Assembly in a tough spot. With the Senate already adjourned, they could either pass Pataki’s version with its weakening amendments or let the laws expire altogether. “It’s a classic midnight end-of-session story,” said Liz Krueger, a Democrat from the Upper East Side who opposed the measure. Krueger urged Assembly Democrats to call Senate Republicans’ bluff and not approve the weaker bill. Democrats were afraid, however, to get the blame for letting rent laws expire, which they realized might lead to rent spikes as leases came up for renewal. “The one that will take the most tenants by surprise has to do with preferential rents,” Belkin said. 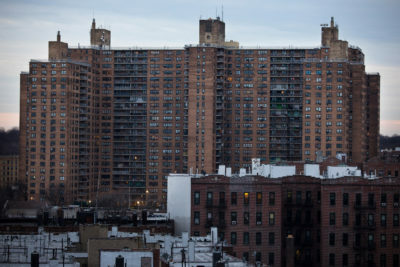 Fourteen years later, there are about a quarter-million apartments with preferential rents, according to a statewide tally obtained under New York’s Freedom of Information Law. That’s led tenant groups to push for repeal of the 2003 law. 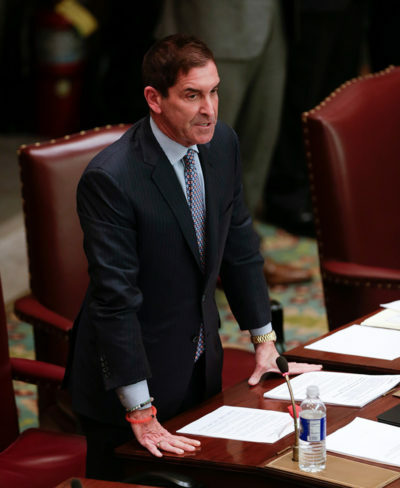 The faction is led by Bronx state Sen. Jeff Klein, one of the chamber’s top recipients of campaign contributions from the real-estate industry. Klein has not signed on to any repeal bills and lately has been recruiting additional senators to join his group, including some who represent gentrifying neighborhoods such as Inwood, Jackson Heights and Crown Heights. In November, state Sen. Jesse Hamilton — a Crown Heights Democrat whose office is located right across the street from Ebbets Field — joined Klein’s group, which now has eight members. Hamilton said in a statement that he joined the breakaway faction of Democrats because it “gets results on progressive issues.” He did not list reform of preferential rent as one of those issues. Newsome, the tenants’ association president, recently met with Hamilton but said she came away with no commitment from him to change the law. Hamilton declined to be interviewed, but a spokesman said the Senator supports several tenant-friendly bills, including one of Krueger’s repeal bills. A spokeswoman for Klein, the group’s leader, said that “Senator Klein is fully aware of the issues associated with preferential rent. He is in the process of working with local tenant leaders to address these concerns and come up with a legislative solution.” She declined to elaborate. 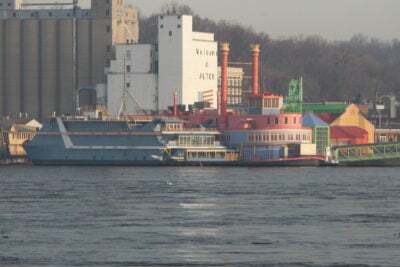 When informed of Klein’s response, Paulette Sorg, a tenant association president in Klein’s district, said she’s requested a meeting with Klein to discuss the issue but hasn’t received one. Apartment hunting in 2010, the Donaldsons spotted the ideal place to raise their growing family. The 14-story red-brick building, 160 Parkside Ave., was perched right across the street from Brooklyn’s sprawling Prospect Park, overlooking acres of playgrounds, bike paths, ponds and picnic areas. There was a laundry in the building, and a subway stop as well as a supermarket and other shops nearby. They agreed to rent an eighth-floor unit for $1,375 per month. When they went to sign their lease, they were puzzled to see that it also listed a legal maximum of $1,881 per month. Their broker, Pepi Sorvali, assured them not to worry about the $1,881 rent because they’d be paying the lower, preferential amount. “It would never go up to that,” Scherrie Donaldson recalled Sorvali telling her. “I certainly didn’t tell them that,” Sorvali said in an email when asked about the exchange. She said she would explain to prospective tenants that the owner has the right to raise the rent to the legal maximum upon lease renewal. Donaldson stood by her recollection of the conversation. “We were always somewhere. Always on the go, in the park, running, ice skating,” she said. She’d arrange playdates for her children with other parents in the neighborhood and began writing a blog about motherhood in her spare time. But the monthly bills came with a reminder that the rent could easily be higher. Meridian would bill the Donaldsons at their maximum legal rent — over $500 more — and then subtract a “preferential” credit to arrive at the actual price. That preferential discount began to melt away when the Donaldsons received their renewal offer in May 2015. While the city capped rent increases at 1 percent, Meridian asked for a $301 increase on a one-year lease renewal – a 20 percent hike that would bring their rent to $1,795. “This is crazy,” Scherrie Donaldson thought. With some trims in their budget, they could afford it. But the couple’s family had grown. With three kids and only one bedroom, they couldn’t justify paying that much more. The couple reluctantly signed the renewal, and sent in a $301 check for the additional security deposit, figuring they’d have a year to find a bigger place. Meridian cashed the security deposit check in August 2015, according to Donaldson’s bank records. But in October the company sent them a new renewal lease reneging on the $1,795 offer and raising their preferential rent to the legal maximum of $2,065. Meridian’s Niamonitakis said he revoked the Donaldsons’ preferential rent because, on six separate occasions, Meridian had to inquire about nonpayment of rent. In August 2015 — between the initial $301 increase and the eventual $571 renewal offer — Meridian initiated an eviction case against the Donaldsons, alleging nonpayment of rent for June, July and August. We’ve mapped more than 450,000 New York City eviction cases filed between January 2013 and June 2015. Look up your building to see its recent eviction cases and whether it may be rent-stabilized. The Donaldsons showed ProPublica a check for June and July rent that they say was sent prior to an August 6 notice alleging nonpayment and threatening to initiate eviction proceedings in five days. It wasn’t cashed by the landlord until later. “We were going to court to basically [say] that, ‘No, we don’t owe any rent. That’s paid off, and what are we supposed to pay now?’” Scherrie Donaldson said. 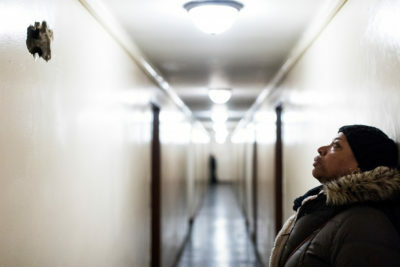 In the midst of the dispute, the tenants’ association president for 160 Parkside Ave. informed the Donaldsons that they were likely the ones who were owed money, not Meridian. The association had filed a rent reduction complaint due to broken elevators and other inconveniences. The state granted the reduction and ordered that rents be rolled back on dozens of apartments from June 2011 to December 2014 — including the Donaldsons’ unit. They calculated that they were entitled to almost $8,000 in back rent. 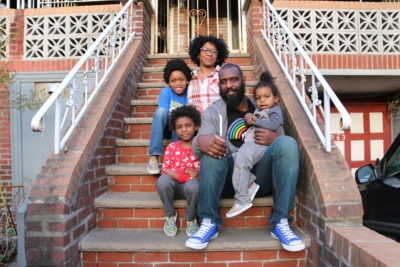 A year ago, they settled in with Langston’s mother in East Flatbush, two miles away. That’s where the couple still find themselves, with unpacked belongings reminding them of the life they left behind in Prospect Park South. They still don’t feel at home the way they did at 160 Parkside. There’s no park for their children to play in. The nearest subway is a mile away. With her husband using their car for work, Scherrie Donaldson takes an Uber to pick up the kids from school.